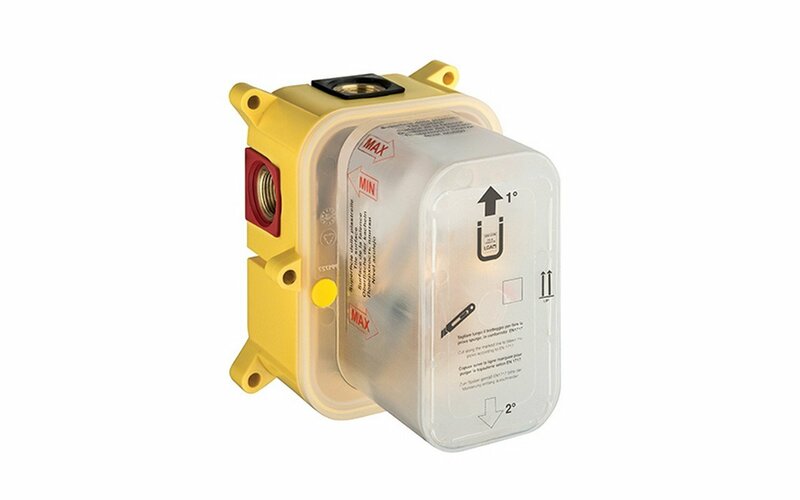 Shower control with 2 outlet diverter and metal plate. 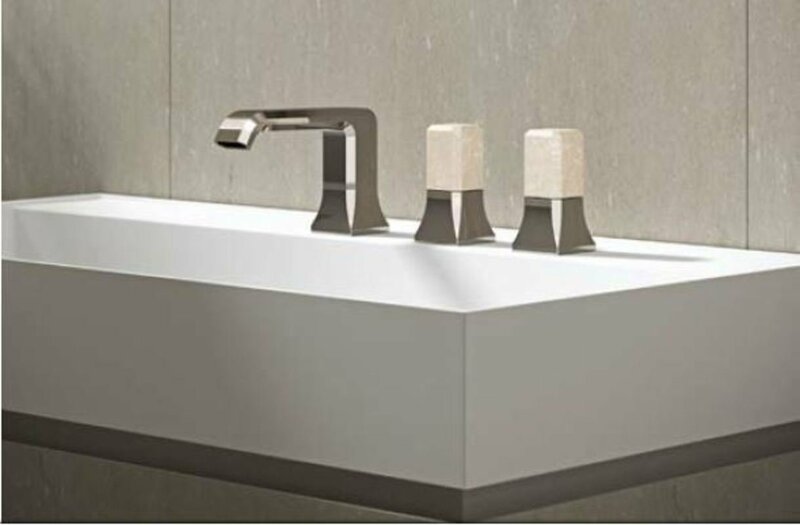 The Lorena collection of taps combines rigid and sophisticated industrial design with the finest artisan experience. Designed by the Busetti Garuti Redaelli industrial design studio in Milan, it symbolizes the “Made in Italy” at its finest. The design of the Lorena collection is a modern interpretation of the classic forms from the 1920s, characterized by the purity of shapes and harmony of various design elements and materials, to achieve a unique and timeless style. 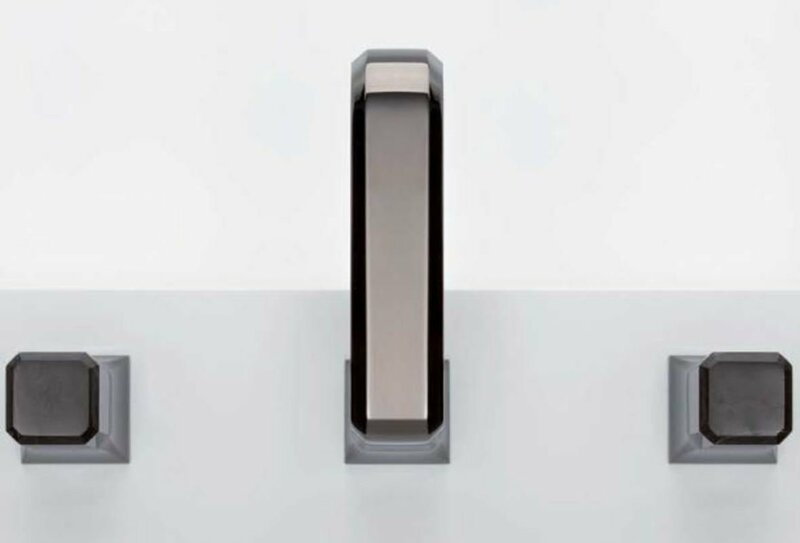 According to the designer, the Lorena lineup of faucets was conceived as a reinterpretation of classic canonical ideals, where the reflective faucet surfaces and elements of natural stone remind us of typical glass processing and precious stones. 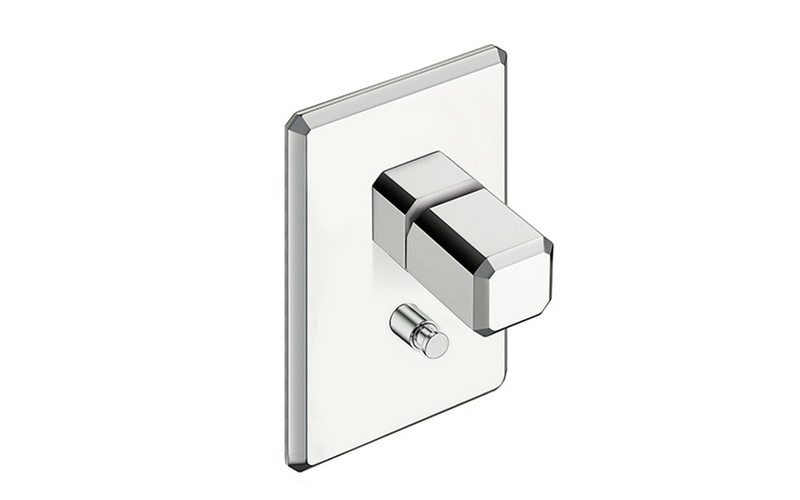 Genuine and fine materials, with a strong and unique identity, available in many finishes that offer a wide range of customization options. 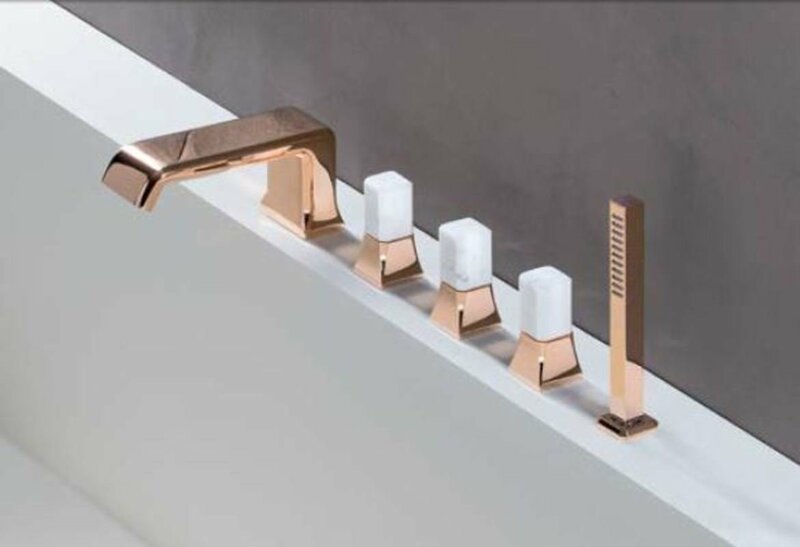 The brass body, with its gently rigid lines, are available in several galvanic finishes, while the handles can be ordered in numerous marble or stone essences. 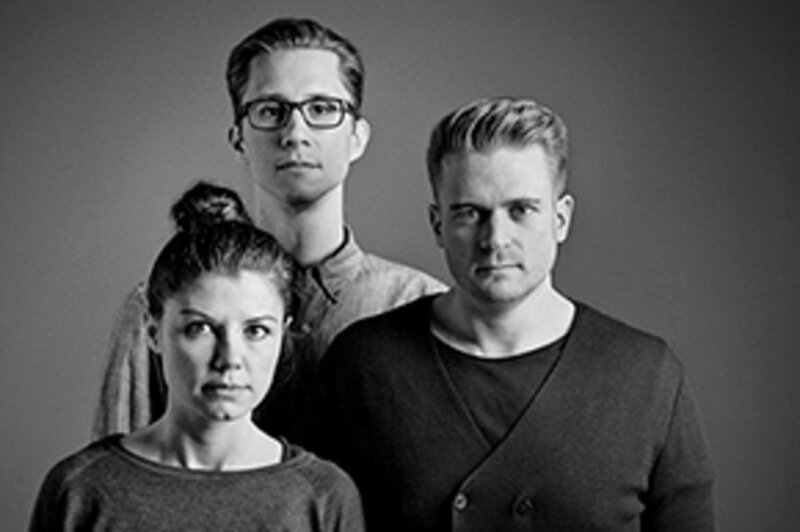 Lorena is a highly expressive design project that visually and tactfully involves the user with its purity of forms and unmatched natural beauty. 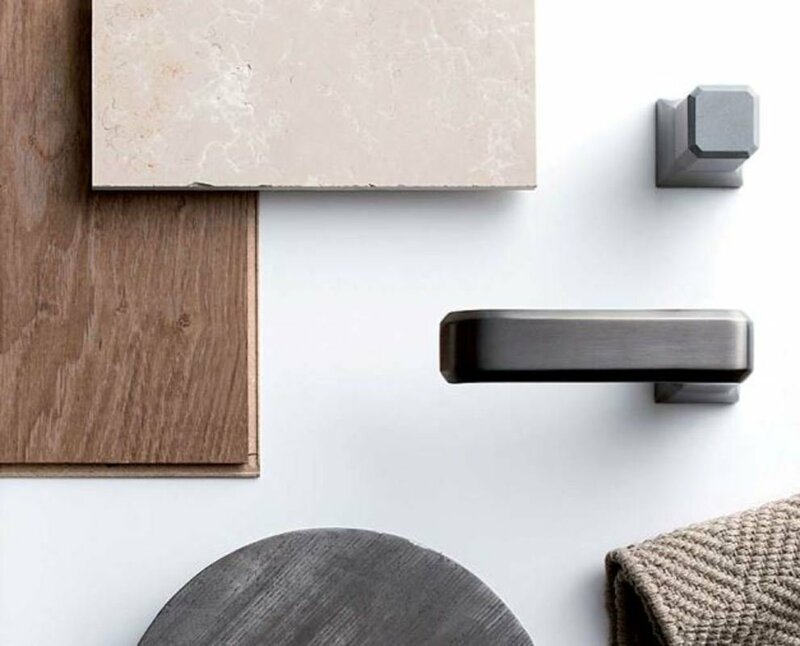 With around 50 combinations of finishes and stones, the Lorena Range is a fine décor element that can be personalized to create the desirable individual bathroom atmosphere to reflect the personality of its inhabitants. 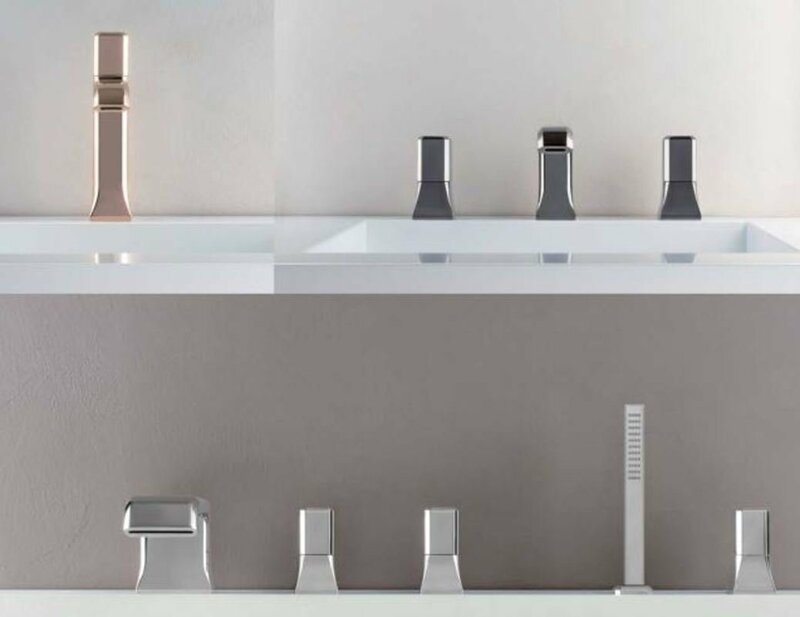 The choice of available finishes and material combinations allows designers, architects and specifiers to use the Lorena line of taps and showers to create highly personalized design solutions for residential and commercial projects. Create a bathroom ambience with no traditional aesthetical limitations – an ambience that blends harmonically with the rest of your home. A suggestion of colors, finishes and materials to enhance a feeling of contemporary and discreet luxury with focus on metal finishes, combined with elegant precious marbles. A sophisticated combination of materials that features the Calacatta and Marquina marbles, symbol of the exquisite elegance. 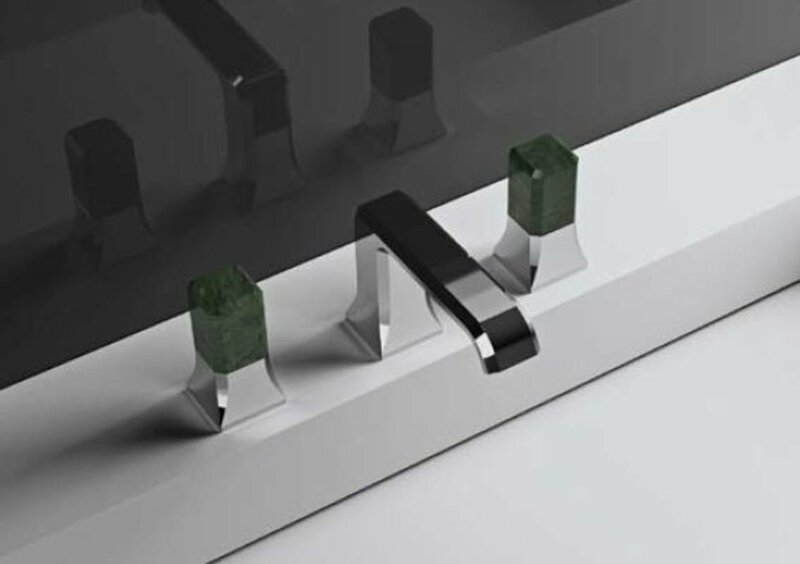 In this mood, the preciousness and purity of white and black stone coupled with bright and shiny faucet bodies, creates an eye pleasing material and color contrast. For those who desire the absolutely best and exclusive style and provocative statement of luxury, we offer exclusive material combinations with great visual effects. Explore the choice of yellow gold, green Guatemala marble or shiny black chrome, to create very personalized and exclusive designs unlikely to be seen elsewhere.